We’ve already taught you some general tips, and also taught you the best ways to penetrate defenses in Dream League Soccer 2016. But what about the management aspect of things? Of course, management is an important aspect of this game, which is available for both Android and iOS devices, and you definitely would want to manage your team right if you want to make it the “best team on the planet.” As a reminder, you will be competing across four different leagues, with the Elite Division being the highest, playing friendlies, taking part in cups and other high-level competitions, and dealing with real players and teams. But that’s where the fun begins – each player has several ratings you should be looking at, and there’s a myriad of other considerations that you should keep in mind if you want to be a top-flight manager. So join us as we bring you another Dream League Soccer 2016 strategy guide, this time focusing on what you should do to become the best manager possible. 1. What Skills Should You Be Looking At? 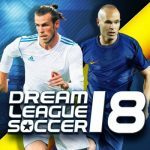 Unlike a basketball team, for instance, which typically has 12 to 15 players, the soccer teams in Dream League Soccer 2016 allow you to have as many as 32 players on your team, pretty much like real life. And you’ve got a starting eleven, of course, with all those attributes for each of those players and any and all players outside of the starting lineup. Overwhelming as it seems, you can make it easier by focusing on those core skills per position; for example, you want to prioritize Speed and Accuracy if you’re looking for a good attacker, Passing for good midfielders, and Strength and Tackling for good defenders. No sense in comparing Strength stats for attackers, for instance, as they wouldn’t use much of it compared to their other skills. Aside from those skills, you may also want to take a look at Fitness. That’s an important stat for everybody, but especially so for attackers and midfielders. It will matter a bit less, however, when it comes to your defenders and goalkeepers. Many players’ first instinct is to buy the best player possible on the transfer market. But you also want to leave enough money remaining, rather than run out of money quickly just because you signed one super player out of eleven slots for your starting lineup. Instead, look at the players who give you good value for your money; typically, you want to spend only about half your budget until your team is strong enough. Signing four or five “merely” good players invariably has a better payoff than signing just one superstar. Aside from managing your team, you also have to manage other aspects about your club in general, such as your stadium. You may need to upgrade your stadium once you get promoted to a higher league, and since stadium upgrades often cost an arm and a leg, you should save up for the inevitable upgrade and have enough funds in reserve. 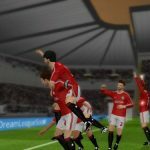 Want more Dream League Soccer 2016 tips and tricks? Head over to our collection of hints, which covers different aspects of the game. 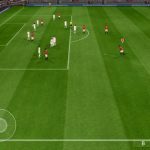 Dream League Soccer 2016 Tips & Strategy Guide: How Can You Make it Past Defenses?